Enjoy the best inspirational, motivational, positive, funny and famous quotes by Aristid Lindenmayer. Use words and picture quotations to push forward and inspire you keep going in life! The development of an organism ... may be considered as the execution of a 'developmental program' present in the fertilized egg. 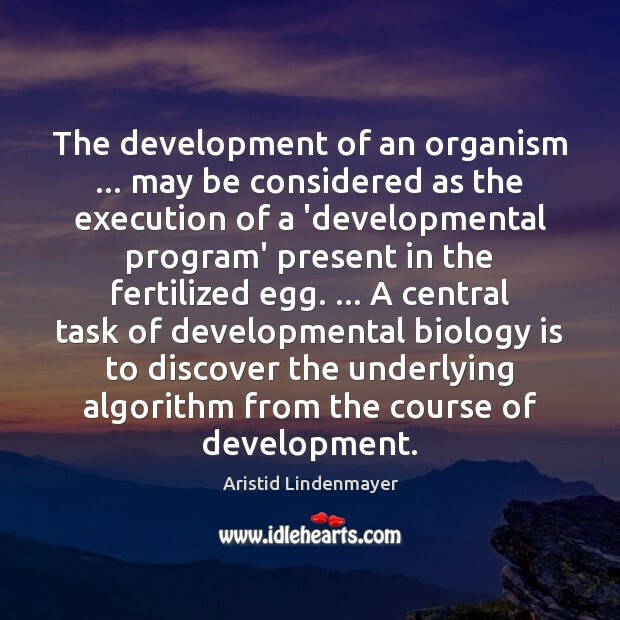 ... A central task of developmental biology is to discover the underlying algorithm from the course of development.